AEIOU Kids Club has another surprise for you: fabulous Kids Party Venues to make your event just perfect. There are plenty venues for parties in all the UK, but it’s a quite hard to choose the best one. When you are hiring a kids party place you need to pay attention to several things, and that’s why hiring kids party planners can be helpful for you. They have some of the best children’s party venues, and everything to make your party just great like birthday party entertainment packages, children’s party entertainers, party catering, party decoration, and children’s party places! We have many places to hire for parties in all the UK, so there are no excuses not to hire AEIOU Kids Club! Our kids party venues are just awesome. Don’t believe me? Take a look and check by yourself! If you are going to give a kids party to a large number of guests you might like to hire Kids party places. This way you ensure that there will be no lack of space and, the best part, your house won’t be like it was in the middle of a world war! We know that give a party outside your house is more expensive, but sometimes it’s necessary. To make your kids’ party, birthday or event even greater you might like to hire our wonderful birthday party entertainers! 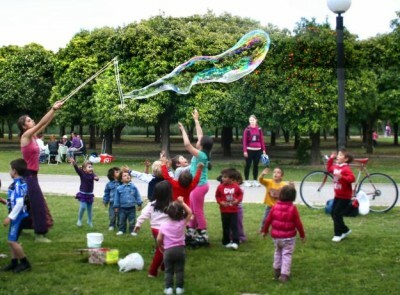 You must also pay attention to a couple of things when you hire Kids Party Venues because there are several types of kids party places and you must have in mind what kind of party you want so you can hire the best one for you (birthday party, themed party, Christmas Party, community party, school party, and so on). First of all, make sure how many guests you will have in your event. Then you must check the capacity of the kids party places. Don’t forget to visit them and check by yourself if they have everything you need because most part of kids party venues have small facilities. Check other services that can be included in venues for parties. They usually have decoration and catering to your parties. 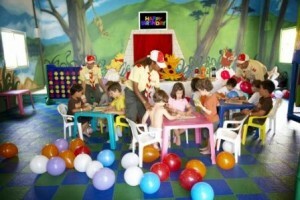 It’s not very cheap hiring kids birthday party venues, so ask what is included in the price. 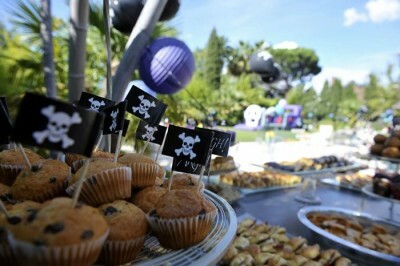 There are numerous children’s party venues offering party decoration. If you want to do it yourself, or if you want to hire someone else to do this for you, ask them if it is acceptable and if they can subtract from the final price of Kids party venues. You must have a certain number of adults in your party who are responsible for monitoring children. If you don’t have enough parents ask in the birthday party places if they can handle at this point. What is necessary in Kids Party Venues? There are some other things that you need to know before you hire Kids birthday party venues. Choose a birthday party places near your kids’ school. This way you have sure it is close to everybody. Make sure that the kids party venues attend to all the security issues. Ensure that the venues for parties have clean facilities. To make your job a little bit easier, we have some venues for parties in the UK to suggest you. Have in mind that every time you hire AEIOU Kids Club you are getting not only the best birthday party places but also our kids party services. 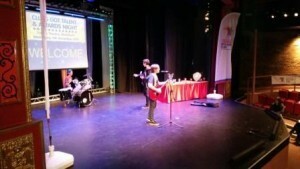 Waterlily Venues – In the middle of London, this is one of the best Kids party venues that you can hire. Cufos – Placed on top of The Avenue, London, this is ideal for kids parties and birthdays. In fact, it is one of the best kids party venues you have ever seen. Finchley Golf Club – Located on Mill Hill, London, you will experience a splendid kids birthday place and also toddler party venues! Hollywood Arms (Pub) – Located in Chelsea, this party venue is perfect for all types of events, which makes from it one of the best kids birthday party venues in London! St john church hall – Located in Bromley, this can be an excellent option for you. Contact us for further info and prices. Emmanuel Church Hall – Located in Sutton Coldfield. This is the best option for your kids parties! Greaves Hall – A fantastic kids party venue in the centre of Birmingham! Marston Green Hall – Located in the peaceful village of Marston Green, this is one of the best kids party venues in Birmingham! Poachers Pocket – Situated in West Midlands, Birmingham, perfect for all types of events! Newton Boys and Girls – An astonishing venue for all kind of parties in Newton-le-Willows, Merseyside. Tarbock Village Hall – set in the heart of Tarbock Green, Merseyside, this is one of the best kids party venues in Liverpool. Viking Centre – Situated in Rock Ferry, Wirral. Freemasons Hall – A marvelous venue for all kind of events in the centre of Manchester, and one of the best kids party venues in Manchester! The jubilee centre – Situated in Altrincham. Sheridan suite – Located in Oldham Rd. There are no doubts that our kids party venues are the best ones in all the UK. Apart of it, you can also experience our fantastic entertainers, party entertainment packages, decoration, bouncy castles, catering, and everything else to make your kids party amazing. Don’t hesitate and contact us now to book our services. 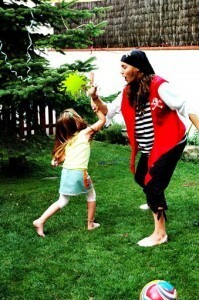 I promise you your kids party will be unforgettable and unique! Enjoy our party packages and our Kids party venues!